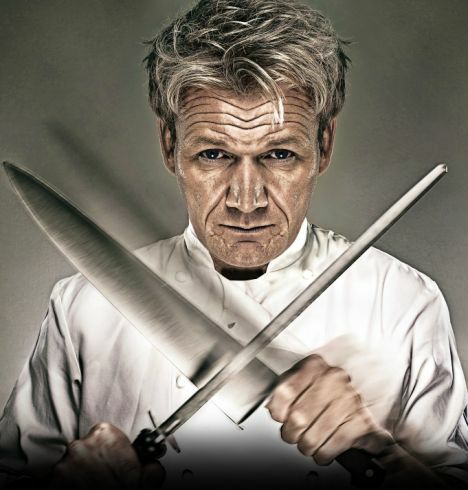 Gordon Ramsay has raised a few eyebrows after claiming that he has never swore in front of his four kids, adding that people misjudge him for the person he is on TV, but at home, he claims to be the complete opposite. Now, this is a little hard for us to believe seeing that in almost every interview the master chef does always has some kind of swearing in it when it’s not even necessary. Ha. If you’ve ever watched one of Ramsay’s shows, you’d know that this fella is pretty crazy with the way he talks to people, he doesn’t filter his words of choice at all. However, when asked if he uses the same kind of language to his children like he does with people he doesn’t know very well, he completely denies it, saying that his words have never even heard their father swear before. That sounds like the biggest lie to us,- how can they not have heard their foul-mouthed daddy bash someone over the phone or perhaps even see him on his numerous television shows.